Los Altos police said Monday that a man was arrested last week on suspicion of exposing himself to two children and annoying five more. 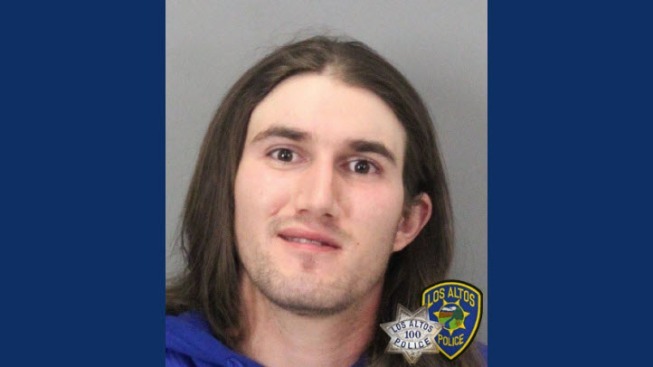 Christian Itule, 25, of Portola Valley, was arrested Wednesday following a report of suspicious activity at about 5 p.m. near Morton Court and Jardin Drive. Police responded and found Itule, who matched the description of the suspect. Itule was in a vehicle and allegedly exposed himself to a child riding a bicycle at about 3:40 p.m. on April 21 near South Gordon Way and Hawthorne Avenue. A second suspicious incident occurred the same day at 4:16 p.m. in front of a home in the 400 block of Valencia Drive near Los Altos High School. Itule allegedly drove up next to two children and talked to them. The children became scared and ran home, police said. Police said the victims in both cases described the suspect as a white man who is about 18 to 20 years old with long wavy blonde and red hair pulled back in a ponytail. Police said the suspect was wearing a black beanie and dark clothing. On the day Itule was arrested, the victim also described the suspect as a white man wearing a black beanie. The victim said the suspect was driving a tan sedan. Itule was booked into the county jail. The victims are all between 11 and 16 years old. Detectives continue to investigate the cases and are asking anyone who was contacted by Itule or has more information to get in touch with the Police Department's investigative services division at 650-947-2770 or leave a message on a tip line at 650-947-2774.